In the information age with an attention span of seconds rather then minutes on the web, I understand that a headline needs to be snappy and flashy to grab some of the busy reader’s very limited attention. And who would ever take the time to google the original article in “Proceedings of the National Academy of Sciences of the United States of America”? Can you guess what the original title of the study is? Money can buy you happiness? 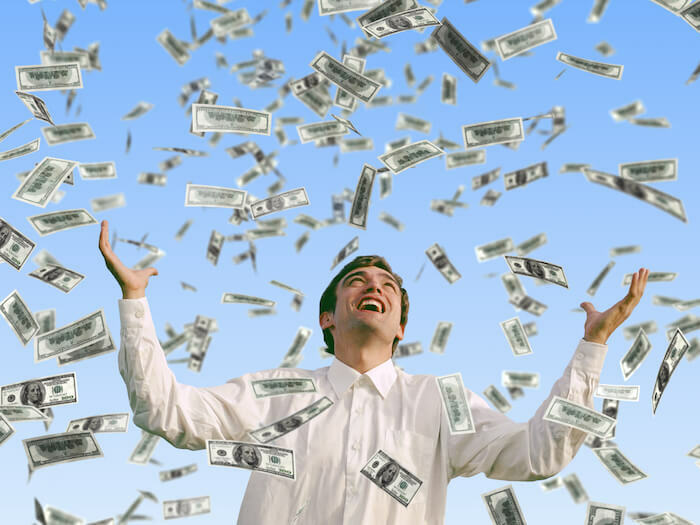 75,000 US$ income guarantees you fulfillment in life? Woo. I admit, that’s a bit dry – but it is straight forward – and has not much to do with the Businessweek’s and others’ catchy titles anymore. The key statements from the research as I see them are basically summarized in the headline already and confirm what many of us assumed: more money makes life at least easier and leads to a higher life evaluation. Interestingly, also emotional well-being is rated higher at higher income. However, whereas the earlier continues to be rated higher the higher the income, the latter “stalls” at a certain income level (which is for the US around 75,000 $). All I would like to do here is to highlight are some details not mentioned in most of the news articles. Being a college graduate is associated with high life evaluation (…) but also – all other factors being equal – college graduates report more stress than non-graduates. The Gallup World Poll found high levels of stress in high-GDP countries. The presence of children at home is associated with significant increases in stress, sadness, and worry. Religion has a substantial influence on improving positive affect and reducing reports of stress, but no effect on reducing sadness or worry. I find the depth of the study and the researchers’ acumen absolutely amazing. On one hand. On the other hand, I wonder if we are now trying to find scientific answers for what simply cannot be answered. Would you now refrain from having children because the study suggests this will be associated with stress, sadness, and worries? Only you yourself can answer what it is that you want from life. As long as you are living in freedom, you decide what your needs and your wants are; what you need to do and what you need to avoid to find happiness and fulfillment in life, no matter whether you are talking about emotional well-being or life evaluation. Take a time-out maybe this weekend and go on a journey to yourself. It will be worth the trip. Life is not linear. Life is not simple. Life is complex. And it’s perfect this way. Enjoy! Plus, it is all so relative, depending on your own family background and lifestyle. The yuppy in NY could probably be devestated with 75K income, wheras the farmer in Idaho opens a bottle of Champagne with the same amount in hands. I am in human resources, and higher compensation is in many cases still associated with happiness. Whether true or not, I personally believe that different people get their satisfaction from very different sources. But seemingly money and luxury weigh heavily for most of us. Hi Maik and thanks for your comments. True. I agree with you that different people define happiness differently. Respectively they derive happiness and satisfaction from different sources. The crucial point for me is to distinguish between what YOU really want compared to what other people make you believe what you should want. Great blog post, Dr G.
Great to hear that! – And hopefully some encouragement for people who are in a similar situation like you some months ago. Dr. G. As always, your comment holds my attention. Enough money makes me less distracted so I can think about what makes me happy. Deb B.
Hi my most loyal reader! The question remains: how much is enough? The problem for most people is to distinguish between wants and needs. If “high income buys life satisfaction”, then it’s no wonder that there is no end to the wants, and we want more and more. For myself, I have identified that happiness is what I need most. Very nice post, thanks. Similar to the title of your blog, I am a firm believer that happiness is about the journey, it IS NOT a destination. All of us need to find ways to protect “the balance”in in our lives. I do believe that isolating and evaluating specific areas/factors of our life makes it easier to say “a” makes me stressed and worried, “b” makes me “sad but not too stressed”, etc. While, it’s certainly important to look at them individually to see specifically what we can do to improve that part of our life, in the end, it’s about balance. Attitude is also a HUGE factor in determining if our happiness journey. The one thing each person truly has control over is their attitude and how they react to situations they encounter every minute of every day.